"Back through the filthy by-lanes! George R Sims (1847-1922) was a campaigning journalist specialising in stories on poverty and poor housing published in the series entitled How the Poor Live and then in a column in the new Sunday Referee. His output also included plays and children's books as well his recitations such as The Lifeboat and In the Workhouse: Christmas Day (1879) and which appeared under the pseudonym of "Dagonet". 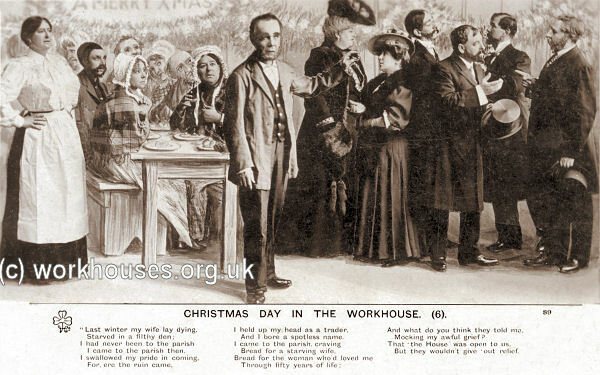 By the middle of the century, Christmas Day (or more often Boxing Day, December 26th) had a became a regular occasion for local dignitaries to visit their union workhouse and dispense food and largesse. 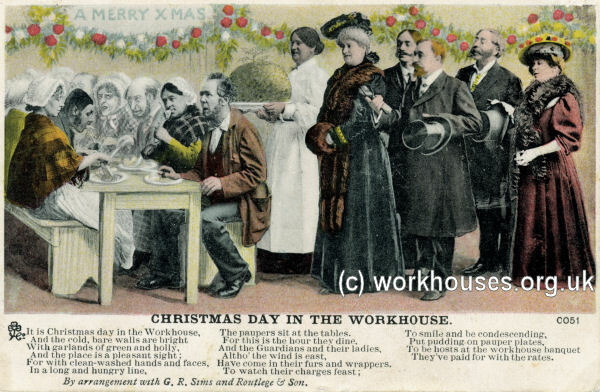 The workhouse dining-hall would be decorated and entertainments organised. 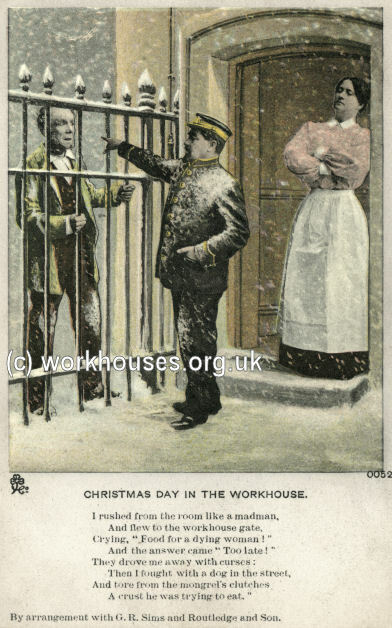 Such occasions were, however, seen by some as condescending and patronising — the standpoint from which In the Workhouse: Christmas Day is written. 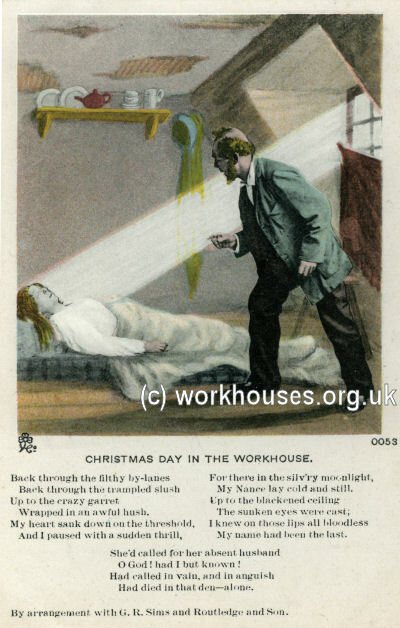 Despite a number of factual flaws in its narrative (official regulations allowed couples over sixty to have a room together, and a union workhouse was obliged to take in and feed anyone in case of "sudden and urgent necessity"), Sims's ballad became immensely popular. In 1897, Sims began promoting and selling a hair restorer under the brand of "Tatcho". In 1912, the British Medical Association examined the preparation and found that it contained borax, glycerine, and small parts of formaldehyde, alcohol, quinine, and perfume.